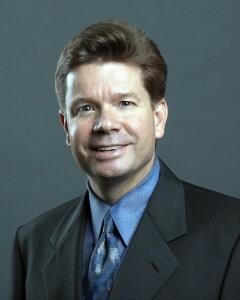 Dave Samson is general manager of Public Affairs for Chevron Corporation. His team is responsible for Chevron’s communications strategies and activities, including media relations, employee communications, executive communications, issues management and litigation communications, as well as corporate marketing, branding and sponsorships. Dave’s team also manages Chevron’s corporate web and social media properties. Dave is this year’s recipient of The Plank Center’s “Milestones in Mentoring” Corporate Award, which recognizes corporate communication professionals for mentorship. This award is named in honor of John “Jack” Koten, an influential corporate public relations leader. Dave shares his role as a mentor and how you can be an inspiration to others. It’s a career highlight for me. I can think of no greater honor than to stand in the company of this year’s extraordinary honorees as well as the company of the award’s past recipients. I have a vivid recollection of the first time I learned of what it really meant to be a leader. I had just become the head of global communications at Levi Strauss & Co., reporting to the CEO of the company. I had a long and very good relationship with the CEO, but had never been a direct report prior to assuming my new role. In taking on my new role, I was now leading a team of folks, some of whom had previously been my peers. It quickly became apparent that one my new team members was not meeting the CEOs expectations. Instead of addressing the issue directly, I tried to compensate for my colleague by fixing his work before sending it on to the CEO. Wow. Some might feel this was a bit harsh. For me, however, his blunt and direct comments were a gift. He was teaching me that as a leader I was no longer accountable solely for my individual performance; I was now accountable for the collective performance of my team. I learned that day that as a leader you have to make hard decisions – decisions that can affect people’s livelihoods. That one conversation changed me. It has stuck with me through every succeeding job to where I am today. Most simply, I am a confidant to those whom I mentor. I am someone with whom they can share their career aspirations as well as their frustrations. They can trust that I will give them my best and honest advice without judgment and that I will always do so with great discretion. They know I will be straight with them. After all, I owe them that. Frankly, it’s time. It may sound cliché, but the most precious resource we all have is time. As a consequence, we’ve grown accustom to trends like speed dating, speed consulting and even speed mentoring. When it comes to mentoring, I think this trend is an unfortunate by-product of our growing time constraints. Meaningful mentoring can’t be a drive-by activity. Never take yourself too seriously. It is a turnoff. Also, remember the qualities you admire most in people and try to model those qualities in every interaction you have with others. I always remember what one of my closest mentors once told me. He said: “Dave, you get many chances to get it right with your career, but you only get one chance to get it right with your kids.” In effect, he was telling me that getting it right outside the workplace was more important than getting it right inside the workplace. He was teaching me about what really matters and keeping perspective. I want to look back on my career and know that I had a positive impact on those with whom I had a chance to work and interact. For me, personally, I want people to feel they learned something from me and that I created an environment that allowed them to grow and prosper professionally. Experience has taught me that you get the best from those who feel respected and valued for what they do. Over the course of my career, I’ve had the chance to work and learn from some of the greatest leaders in our profession, but the person who has had the most profound influence on me is John Onoda. Wherever John worked, he created an environment that allowed those around him to excel and, by doing so, he set into motion many promising careers. But while John defined the careers of so many, his work never defined him. To this day, it is this single quality that I most admire about John. While I wish I could say I possessed the same quality, it still remains an aspiration. BTW, John is a past recipient of the Plank Center Award.